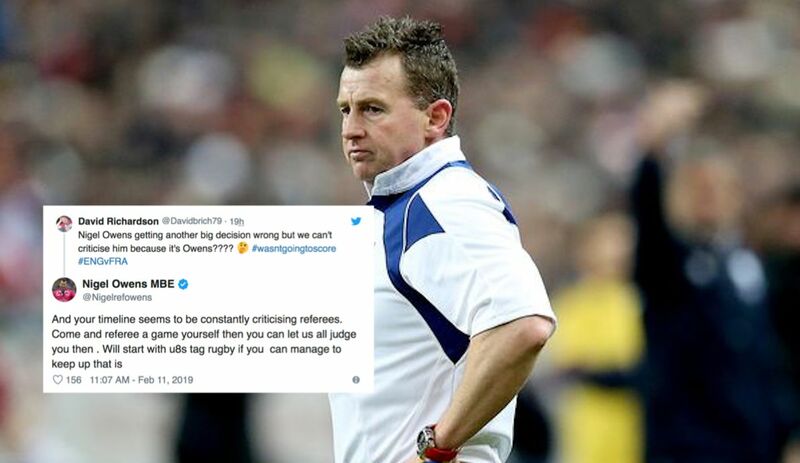 Popular referee Nigel Owens has put one of his critics in his place with a wonderfully worded tweet. The user was criticising Owens decision to award England a penalty try against France and then sent Gael Fickou to the sin-bin to compound the visitors’ woes. No one on the pitch is in better shape than the ref. Many years ago, after returning from West Berlin, where I played for the USAF rugby team, I ref’d for a few years here in Texas. I would often offer the whistle to those who would not shut up. Never had a taker.